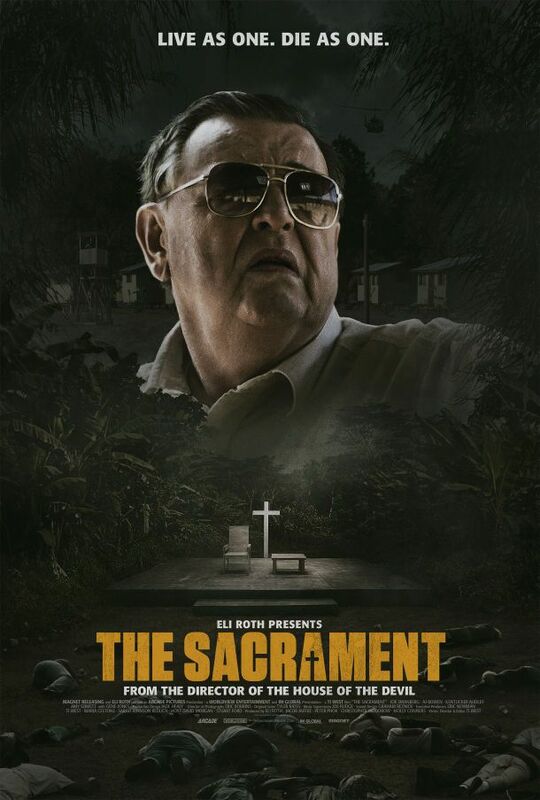 Available now on VOD and in select theaters is The Sacrament, Ti West‘s horrific look at the final hours of the Jonestown inspired cult, Eden Parish, as told through the lens of a VICE documentary. As Patrick, a fashion photographer seeking to bring his sister Caroline (Amy Seimetz) home from the mysterious cult, Kentucker Audley delivers one of the film’s standout scenes. In a five minute, one-take sequence Audley and Seimetz bring their absolute A-game, resulting in an almost unwatchable scene that stays with you days after the film’s end. 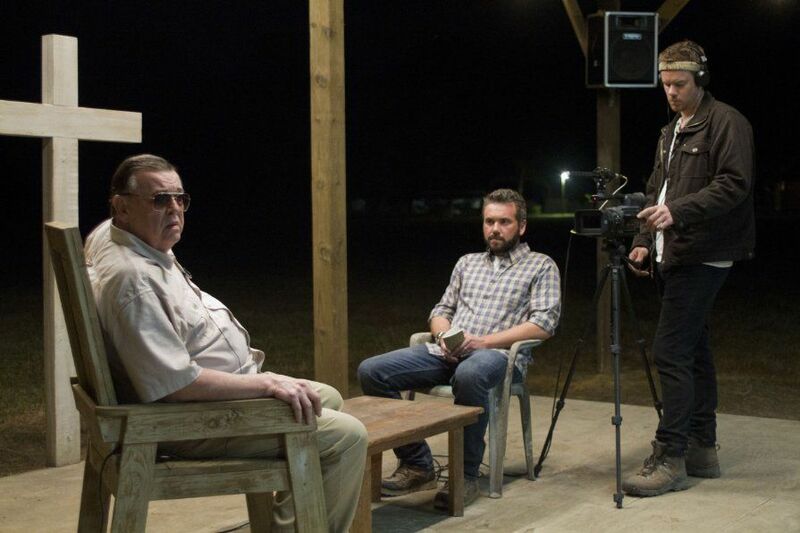 The Sacrament also stars A.J Bowen, Joe Swanberg and Gene Jones. At a recent LA press day I sat down for an exclusive interview with Audley. 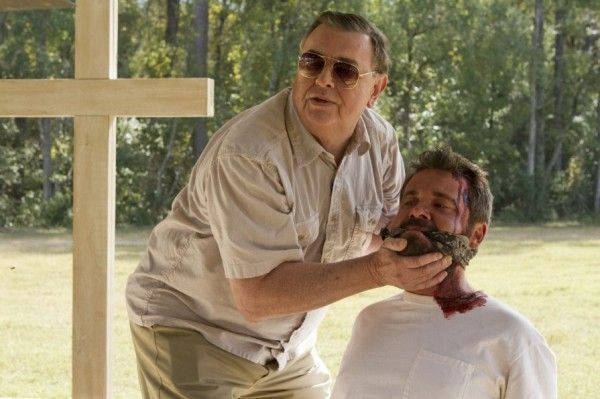 He talked about working with director Ti West, his experience on set, shooting his climatic scene with Seimetz, his website nobudge.com, and his thoughts on the state of independent filmmaking. Check out what he had to say after the jump. Collider: Everybody in this movie knows everybody and has worked together before. When did you first meet Ti and how did this project come to you? KENTUCKER AUDLEY: I met Ti years ago. I think I actually met Ti at Lena Dunham’s house, I actually just remembered that. It was probably 2005 or something, maybe 2004, but I didn’t know him that well. We just had a very casual, social filmmaking kind of relationship. We kind of kept in touch and he just out of the blue sent me a massage that he’s developing this movie based on or related to the Jonestown massacre, and he had these VICE journalists and photographers that he had me in mind for one of them. I was like, great. 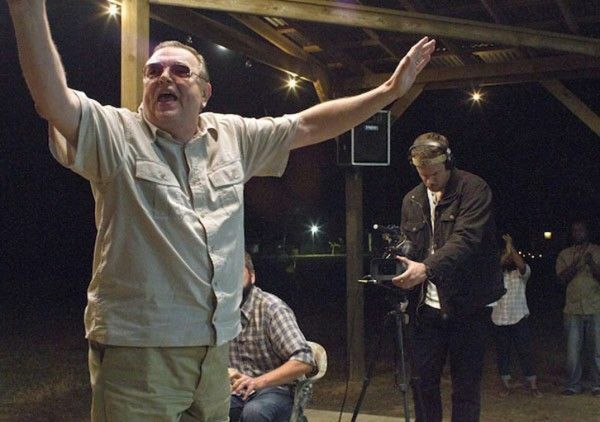 I was always very fascinated with the Jonestown story and VICE is something that I’m very aware of and intrigued by, so it seemed like a perfect match of three things that I was very excited to be a part of. Joe and Amy I’ve known for even longer and I’ve worked more actively with them on a couple other films. So much of this cast is comprised of filmmakers, can you talk a little bit about what it was like on set? Especially because Ti is such a known perfectionist, he writes directs and edits his own movies, how did all these creative forces work together on set? AUDLEY: I guess it kind of depended on the performer. Somebody like Joe and Ti, they have a shorthand, they have a close relationship where Joe, and even A.J., and to an extent Amy, I think they all have a close relationship with Ti as far as being very comfortable going out and sculpting their performance together with Ti and having ideas for the characters. And Ti was very collaborative on this film. 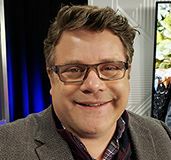 I’m not sure how he’s done it in the past, but this was very digital, documentary framework, so we could do twenty takes and he was always very encouraging of being loose and trying different things. You just trust that he’ll somehow pull this together and make it make sense. It was very collaborative and very loose, and Ti was very encouraging of trying different things. Since it was shot in the documentary style, did you guys have a lot of room for improv or did you stick more closely to the script? AUDLEY: There was some improv, a lot of ad libbing, or rather just tweaking the lines and making them just sound like we would say them. I come from an improvised background, so my natural inclination is to make any script my own, to sort of reform the lines and I like to work with directors that give me that flexibility, which Ti did. Scenes like the scene with Amy and I, the intense scene near the end, just by the nature of the scene we needed to have complete flexibility with the back and forth. There’s just a real sense of- I don’t want to spoil it, but when you’re dealing with something that intense, you need to have a little bit of room to let it come out of you rather than be worried about sticking with the script. It’s this instinctual thing where it’s a life or death of situation and you have to let that instinct of what it would feel like to be on the verge of death come out of you. You could never write that, and Ti in that particular scene gave me a lot of flexibility to just let it come out of me and not be worried about the script. I wanted to talk about that scene. It’s tied for my favorite scene of the movie with the interview sequence. You’re both so fantastic in that scene. How many times did you guys shoot that? AUDLEY: I think we shot that twenty-two times. AUDLEY: Ti said- it’s one take, I think it’s like a five minute take, and Ti said that it was like the seventeenth take that he uses. You know, I’m not a trained actor so it can be kind of touch and go as far as when I feel in it, but stuff like that is helpful for me. It’s actually a lot easier to do something that dramatic, because you have to get there, you had to be lost in it and you have to- it’s a dead scene if you don’t completely commit, if it’s not completely convincing. It’s so intense and horrific that you’re only option as an actor is to go as far as you can to get there. 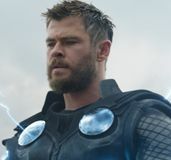 From the first take it felt pretty good to me, but then we did some tweaking and I think when we started worrying more about the mom and dad angle, near the takes at the end I started bringing up “We can still go back, mom and dad will still be there for us. We need to go home.” That was where it really started clicking when you talk about this possibility of we can still go home, there’s still hope, there’s still this thing to go back to and be safe with. That’s where it really starts to be heartbreaking I think. 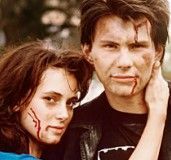 There’s not a lot of character development between us in the film, but when that happens you start retroactively making- the characters become real and you believe their relationship to a whole different degree. Did you and Amy work out any relationship between you guys on your own? Or did you feel like everything you needed was in the script? AUDLEY: Well, the story really isn’t about us, it’s focused on Joe and A.J.’s characters so there wasn’t a lot of room for development within us. Because once we get there, we kind of separate ourselves and the point of view was not from our- the point of view was Joe and A.j.’s characters. So most of the relationship happens when we separate, so you don’t really see that. That was always the point. That was always just kind of the limitation of the point of view and the way that we made it, it wasn’t always going to be based on character development and you weren’t always going to see everything you needed to see. It was very sort of fragmented in that way and that’s just the limitation of the approach. I can imagine fleshing out the characters a little bit in all kinds of ways, but it was all about the end scene between our characters and everything had to be distilled into that one scene. Totally. I can only imagine how tired you were when you went home after twenty plus takes of that. AUDLEY: Yeah, [laughs] like I said, I like that stuff like that. That’s when I feel most energized and I feel like it wasn’t difficult to do that twenty-two times, because I want to be a physical actor. That’s where I feel most comfortable, most adept. I would rather be thrashing around for my life than to like say a monologue or something. I think it’s playing to my strengths as an actor just to be kind of athletic or physical about the performance. I’m very curious about your website NoBudge.com. How do you see the indie scene now and where do you want to see it go? 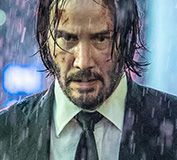 AUDLEY: I think what’s happened is that over the last ten years there’s just been an incredible influx of indie films and just no one is prepared to take on this level of quantity in terms of how many movies there are. Digital technology allowed anybody to make a movie, but it also created this condition where there’s too many movies and there’s absolutely no way that people could watch this many. And people’s viewing habits are going away from movies and more towards YouTube and Vine accounts, just very daily ephemeral entertainment, where movies used to have all that space. If you wanted to be entertained you would watch a movie or a TV show, but now everything is entertainment so there’s less people watching movies and there’s more people making them. It’s a glut and a bottleneck that is sort of a problematic condition for indie films. I think where I would like for indie films to go is the way that indie music has gone, which is that there is still way too much indie music that you could ever hear, but there are trusted curation sources where if you’re into indie music you know where to go to find that out. I don’t think the indie film scene has really established itself as- the curation channels aren’t established enough. With horror films it’s different because I feel like there are a lot of people that are- there are just an incredible number of horror movie blogs that I think that horror films are in fine condition, but as far as smaller dramatic or comedic films, there’s not those channels for people to go and quickly realize what would be interesting to them as an audience member. Is that your aim for your website, to create that kind of channel for people? AUDLEY: Yeah, that’s the end goal but you know, I’m doing it without any money or publicity budget. It’s kind of a one man operation at this point. I’m just trying to keep it going while I make money off of films and acting. Ideally it would grow when I build a team out at some point, but at this point I’m just trying to establish some sort of brand and some sort of trust within a very niche indie small movie world.